Le Pen also went after Clinton, saying the former secretary of state would bring “war,” “devastation” and “instability” as president. America in general either believes that instability will not affect the homeland because it is isolated geographically, other than the Mexican border, and that this can be resolved by building a wall across it. And so it goes. Something I can agree with. There are many more economists in the public sphere than sociologists. The president has a Council of Economic Advisers, but no Council of Sociological Advisers. Every presidential candidate has an economic team, but you never hear about a sociology team. There are government-run institutions like the World Bank, the International Monetary Fund and the Federal Reserve banks staffed with Ph.D. economists, but no such brain-trusts of sociologists. In the media, economists such as Paul Krugman, my Bloomberg View colleague Tyler Cowen and others command large audiences and great intellectual respect. Nor are they unusual -- many economists blog, or write for important news outlets. As for sociologists, though a few do interact with the public -- for example, Tressie McMillan Cottom of Virginia Commonwealth University or Fabio Rojas of Indiana University-Bloomington -- most remain in the ivory tower. That’s a shame, because, as Bloomberg reporter Brendan Greeley recently pointed out, more and more of America’s problems look sociological rather than economic. It's a terrible mistake to see all issues as chiefly or exclusively economic, either in origin or solution. What is a required is a system approach that is both trans-disciplinary (inclusive) and also meta-disciplinary (integrative). Economist Kenneth Boulding got this, for example, as did E. F. Schumacher. Karl Marx got it, too. This goes not only for policy but also education. The disciplinary approach reflects the disjointed approach of methodological individualism that is fundamental to neoclassical based economics and the neoliberal political theory based on it. It's literally killing us. I thought this summed up the difference between Hilary and Trump pretty well. Pulitzer Prize-winning journalist Glenn Greenwald looks at the foreign policies of Hillary Clinton and Donald Trump. "You have President Obama, who himself has been very militaristic—he has bombed seven predominantly Muslim countries in the last seven years—and yet Secretary Clinton’s critique of his foreign policy is, in every case, that he’s not aggressive enough, he’s not militaristic enough," Greenwald said. "And in Syria, in particular, they seem to really be itching to involve the U.S. a lot more directly and a lot more aggressively in that conflict." The lady is a psychopath. If Americans elect her, they are likely to get what they deserve. That goes for electing Donald Trump, too. The US is becoming more and more divided domestically and increasingly diminished abroad. This is leading to social and political dysfunction, along with economic and financial dysfunction. This direction is unsustainable in the long run, and it has been going on for decades. Is neoliberalism and neoconservatism cresting? If so, what's to replace it? List of outrageously "dirty tricks," including framing. Particularly shameful was the episode involving the actress Jean Seberg, who donated money to the Black Panthers. As well as wiretapping and following her, the FBI decided to destroy her reputation by circulating gossip that her unborn baby had been the product of an affair with a member of the Black Panthers. The LA Times and Newsweek both ran the made-up story. When Seberg read it, she attempted suicide, resulting in the stillbirth of her baby. According to her partner, she attempted suicide every year near the anniversary of the baby’s death, eventually succeeding on August 30, 1979. Of all the FBI’s COINTELPRO operations, none were as vicious as those carried out against various civil rights organizations. Interesting how US history is punctuate with assassinations by a lone perp under circumstances that where never explicated satisfactorily — JFK, RFK, MLK Jr., Malcolm X, Karen Silkwood. Now it is not just the FBI but DHS. And the president now has virtually unlimited power to order the assassination of American citizens without judicial review or legal representation. Joy Ann Reid: Because from what I’ve seen, the only people not with Hillary Clinton at this point…are people in the Jill Stein camp. Jill Stein was sitting at Putin’s table right with General Flynn. Malcolm Nance: Jill Stein has a show on Russia Today. Green Party presidential candidate Jill Stein doesn’t have a show at all, let alone on RT. She once attended a function hosted by RT, which, by our current standards of liberal discourse, makes her a Kremlin agent, but the fact that such a demonstrably false statement could be made on cable news to thousands of people without anyone bothering to correct it shows how easy Russia panic is to stoke. Earlier in the segment, Nance made the claim that “someone” in Trump’s campaign “may” be an “agent of Russia,” citing a recent report in the Financial Times (8/19/16) alleging that Trump’s former campaign manager Paul Manafort’s former translator “may” have “links” to Russian intelligence. It gets even worse as it goes. Not only smearing Trump and Putin, but now Jill Stein, too. Beyond McCarthyism. Sick (psychopathological). MSNBC the new Fox? Looking that way. I stopped watching them sometime after Keith got the boot and before Cenk resigned in protest of manipulation. The Campaign to Blame Putin for Everything — Who’s behind it? Brian Romanchuk — Should We Care About Strong Money Supply Growth? Although I am not completely averse to the use of monetary aggregates in these circumstances, my feeling is that they are not more useful than any other credit aggregates. Furthermore, the use of credit aggregates is probably safer than the monetary aggregates. Monetary aggregates are a fairly arbitrary hodge-podge of instruments. (Why would we expect that there is any useful information in the sum of currency in circulation and required reserves?) If we look at credit data, we are more likely to have a cleaner read on what is actually happening within the economy. Should We Care About Strong Money Supply Growth? The Europeans had stormed the world in previous centuries wiping out indigenous people everywhere. The Europeans slaughtered the native American Indians which is said to be the worst genocide ever. The native Americans couldn't believe the savagery of the Europeans who they had initially welcomed with gifts. It was custom for different tribes to meet up and exchange gifts which was the way their young would meet new partners preserving variety in the gene pool. Christopher Columbus shot the first few native Americans he met when they failed to take him to any gold. He said the native Americans were very docile and friendly and so would be easy to overcome and turn into slaves. There was great and cultured civilizations in Africa too before the Europeans came along but knowledge of this has been banished from history. The idea that Europeans brought civilization was just propaganda. The film runs out of sound at the end. Racism is ugly, and millions have died because of it. Washington and its clumsy propaganda machine desperately tries to get a ahead of the shoes set to drop by blaming it on Putin in advance, with no evidence, of course. Are they panicking? I wonder if they realize they are portraying Putin as the most powerful person on the planet and driving his stock up. Interview with a Syrian who also has Bulgarian citizenship and now lives in Bulgaria. Longish but revealing. By the end of the 1990s, China had come to dominate the mainstays of geopolitical power in the 20th century – coal and steel production. As a consequence, it leapt to the top of the Compositive Index of National Capability, which uses military expenditure, military personnel, energy consumption, iron and steel production, urban population, and total population as a proxy of national power. Still, one could legitimately argue that all of these factors are hardly relevant today. While Germany’s fourfold preponderance in steel production over Russia may have been a critical number in 1914, China’s eightfold advantage in steel production over the US by 2014 is all but meaningless in any relevant comparison of national power. By the end of the 2000s, like Victorian Britain in the mid-19th century, China became the workshop of the world, overtaking the US in both manufacturing and coming very close to it in terms of PPP-adjusted GDP. As a consequence, this was when China also overtook the US on a wide range of consumer welfare and ecological impact indicators, such as exports, CO2 emissions, Internet users, energy consumption, car sales, car production, and number of patents issued. Still, its presence in the hi-tech sector was still pretty modest, and innovation was low. This was not yet an economy that could furnish first-class armaments, or inspire far off peoples to carry out color revolutions in its name. But as of this year, China is hurtling past yet another set of inflection points – the hi-tech component of its economy, roughly comparable to any of the major European Powers a mere decade ago, is now about to converge and then hurtle past that of the US (even if in per capita terms it remains considerably behind, like South Korea 20 years ago). Zero Hedge — New DNC Chair Says Outrage Over Clinton's Pay-To-Play Is Attempt To "Criminalize Normal Behavior"
Just to clarify Brazile's position, trading "access" to the Secretary of State in return for donations from questionable international characters and misappropriating DNC funds is in no way criminal but revealing such information to the public is. So as long as we're kept in the dark there is no crime. Got it. Thanks. Good along with the only people to have been prosecuted and sentenced for crimes revealed by whistleblowers have been the whistleblowers. Great government the US has. New DNC Chair Says Outrage Over Clinton's Pay-To-Play Is Attempt To "Criminalize Normal Behavior"
Independent Russian journalist Dmitri Pskezin explains why the Russian government's plans to privatize several major state assets have absolutely nothing in common with the robber baron privatization of the 1990s. In the early- to mid-1990s, immediately after the collapse of the Soviet Union, the Russian government began a vast campaign to privatize state-owned assets. The fire sale included major industrial, energy and financial enterprises, and resulted in massive economic turmoil, a dramatic growth in poverty and inequality, and the political rise of Russia's oligarchs. In the 2000s, after succeeding Boris Yeltsin, Vladimir Putin managed to partially reverse the results of the privatization, regaining several strategic assets, including in the defense and energy sectors, and to reign in the oligarchs, virtually eliminating their open attempts to influence Russian politics. Still clueless, but not as clueless as when they were being advised by the US. They still think that they need to get money and apparently buy in to the neoliberal scam of "efficiency." The negative scenarios for the further developments in Central Asia, which have long been the cause of concern both for Russia and China, are now gradually materializing, he added. The elderly generation of authoritative leaders is gradually quitting, economic and demographic problems are mounting and the popularity of radical religious movements is growing…. Any wonder why Russia and now China are invested in opposing jihadis in Syria, some backed by the US as proxies against not only Assad but them also. The revolving door extends its reach. Kiev doesn't seem to have lost its appetite for hiring foreign officials and advisors. Their latest acquisition is Anthony Tether, the former head of the Pentagon's secretive Defense Advanced Research Projects Agency, better known as DARPA. Tether is now an advisor for Ukraine's state-owned defense conglomerate Ukroboronprom. Not just Ukraine, either. Wayne Madsen reads though the Wikileaks docs so you don't have to. George Soros has two side, political and economic/financial. Of course, they meet in promoting his overall interests. Politically, Soros is a liberal internationalist and liberal interventionist who uses his wealth and the influence it gives him to shape geopolitics through both US policy and personally funded subversion through NGOs. His goal is a neoliberal Europe effectively without borders from the Atlantic to the Urals. These policies also contribute to his financial interests in the affected areas. when push comes to shove, idealism gives way to realism and Soros acts to protect his interests. Major media outlets in the US have ignored the leak of thousands of emails from billionaire George Soros’s Open Society Foundation by the activist hacker group DCLeaks. The OSF is the vehicle through which Soros has funneled billions of dollars over the past two decades to non-profit organizations in the US and throughout the world. It is also likely however, that at least some news editors failed to understand why the leaked documents were worth covering. Most of the information was already public knowledge. Soros’s massive funding of far-left groups in the US and throughout the world has been documented for more than a decade. But failing to see the significance of the wider story because many of the details were already known is a case of missing the forest for the trees. The DCLeaks document dump is a major story because it exposes the forest of Soros’s funding networks. The first thing that we see is the megalomaniacal nature of Soros’s philanthropic project. No corner of the globe is unaffected by his efforts. No policy area is left untouched. On the surface, the vast number of groups and people he supports seem unrelated. After all, what does climate change have to do with illegal African immigration to Israel? What does Occupy Wall Street have to do with Greek immigration policies? But the fact is that Soros-backed projects share basic common attributes. They all work to weaken the ability of national and local authorities in Western democracies to uphold the laws and values of their nations and communities. They all work to hinder free markets, whether those markets are financial, ideological, political or scientific. They do so in the name of democracy, human rights, economic, racial and sexual justice and other lofty terms. The peoples of the West need to recognize the common foundations of all Soros’s actions. They need to realize as well that the only response to these premeditated campaigns of subversion is for the people of the West to stand up for their national rights and their individual right to security. They must stand with the national institutions that guarantee that security, in accordance with the rule of the law, and uphold and defend their national values and traditions. organizations making the rule and policing the globe to ensure the rules are followed. Financiers will use it to bet on lawsuits, while taxpayers foot the bill. France’s trade minister has increased the pressure on the proposed EU-US trade deal by calling for the talks to be called off. Matthias Fekl, the French minister for foreign trade, tweeted that his government demanded negotiations on the Transatlantic Trade and Investment Partnership (TTIP)should cease. François Hollande, the French president, also raised doubts about TTIP and said France would not support a deal this year. The vassals are getting restless. China is not alone. Traditional societies will not tolerate Western liberalism, which they view as "degenerate," having lost their moral compass in the pursuit of fame, fortune, power and pleasure at the expense of traditional values. Interestingly, this reflects the view of the early Christians about Rome that the West maintained until after WWII and especially after the commercial exploitation of the Sixties counterculture and the rise of celebrity. What Western liberalism views as propaganda, censorship and repression, the traditional world views a preventing corruption. A significant portion of Western liberal society agrees that things have gone too far and is pushing back. It's even got a name — "culture war." I had a friend, now deceased, who was experienced in intelligence. His view was that democracy is actually safeguarded by a balance between "the armed criminals inside government and the armed criminals outside government." In totalitarian societies there is no organized crime and the only power center is government. But a government also has to be strong enough so that the armed criminals outside of government don't take over government. The ideal is a standoff that prevents any armed group from dominating. This post is interesting in that light. One of the world’s leading experts in the Mafia, Roberto Saviano, has claimed that Capitalism relies on vast global criminal networks to thrive. They are actually part of the same system, the legal and the illegal worlds are increasingly merging. I never thought I would approve (of some) right wingers so much. Here Nigel Farage gives an excellent speech and even warns of the neoliberals starting WW3. Donald Trump stands in the background giving him a big thumbs up like a big schoolboy. Nigel Farage says UKIP said no to the bankers, no to the faceless bureaucrats, and no to the [neo]liberals that run our world and the audience gives a big cheer. In fact, in this speech, at least, no left-winger could disagree with it. The neoliberals want to impoverish the world (and so do the right) so much so that desperate people in the third world feel the need to flees their homes, friends, and families to the West to escape their terrible poverty. If it wasn't for corporate capitalism people in the third world would be living a very reasonable life without all these wars and there wouldn't be an immigration problem. The ruling elite say that corporate capitalism is the same things as 'ordinary people's capitalism', like mum and pop small business, but Nigel Farage will have none of that and his conservative crowd cheer on. Would you believe it, the right seem to have become the progressive party? I have not gone to the right, I just don't want to be fried in one of the neoliberal's wars. What you probably don't know about Steve Bannon. Count on him saving his best shots for October. Alan Kirman — Orthodox Economics Is Empirically Invalid and Theoretically Flawed. Bring on Complexity Economics. Over the last two centuries there has been a growing acceptance of social and political liberalism as the desirable basis for societal organisation. Economic theory has tried to accommodate itself to that position and has developed increasingly sophisticated models to justify the contention that individuals left to their own devices will self organise into a socially desirable state. However, in so doing, it has led us to a view of the economic system that is at odds with what has been happening in many other disciplines. Although in fields such as statistical physics, ecology and social psychology it is now widely accepted that systems of interacting individuals will not have the sort of behaviour that corresponds to that of one average or typical particle or individual, this has not had much effect on economics. Whilst those disciplines moved on to study the emergence of non-linear dynamics as a result of the complex interaction between individuals, economists relentlessly insisted on basing their analysis on that of rational optimising individuals behaving as if they were acting in isolation. Indeed, this is the basic paradigm on which modern economic theory and our standard economic models are based.. It dates from Adam Smith’s (1776) notion of the Invisible Hand which suggested that when individuals are left, insofar as possible. to their own devices, the economy will self organise into a state which has satisfactory welfare properties. Orthodox Economics Is Empirically Invalid and Theoretically Flawed. Bring on Complexity Economics. Michael Brenner — "The New Ancien Regime Arrives In The White House"
"The New Ancien Regime Arrives In The White House"
Mouthpiece of bourgeois liberalism and its propaganda machine bent on imposing a neoliberal world order based on transnational corporate totalitarianism. The Grey Lady jumps the shark again. Hollywood needs it baddies and when the Soviet union fell it ran out of enemies so they turned more towards Muslims. When I was young I would watch cowboy and Indian films but the real villains, those worse than the Indians, were the Mexican bandits. The cowboys were the good guys and always fought with pistols and many were good marksmen, but the Mexican bandits always had machine guns and a belt of bullets over their shoulder. They were portrayed as double crossing cheats and good for nothing cowards who would just shoot up anyone with their automatic weapons. It's weird how the Mexican bandits had the technology and the cowboys didn't. This film shows how Muslims have been misrepresented by Hollywood throughout time, where it has imprinted in many people's minds that Muslims might not be not as nice or as smart as us. Reel Bad Arabs: How Hollywood Vilifies a People is a documentary film directed by Sut Jhally and produced by Media Education Foundation in 2006. This film is an extension of the book of that name by Jack Shaheen which also analyzes how Hollywood corrupts or manipulates the image of Arabs. This documentary argues that the slander of Arabs in American filmmaking has existed since the early days of the silent cinema and is present in the biggest Hollywood blockbusters today. Jack Shaheen analyzes a long series of demeaning images of Arabs through his presentation of various scenes from different American movies which he has studied. This image that is characterized by showing Arabs either as bandits or as a savage, nomadic race, or shows Arab women as shallow belly dancers serving evil, naïve, and greedy Arab sheiks. Most important is the image of the rifle in the hands of Arab "terrorists". The film then explains the motivations behind these stereotypes about Arabs, and their development at key points in American history, as well as why it is so important today. The more over-extended the U.S. empire grows, the less it is able to rein its client states in. It is not a recipe for a happy outcome. Simon Wren-Lewis has an article on his blog on stock-flow consistent/coherent models by Wynne Godley. Unlike other articles, this has a more engaging tone and isn’t dismissive. Some people are very Islamophobic, which is understandable with all the propaganda going on and the actions of the so called Islamic terrorists, most of whom are probably mercenaries. Antiwar.com is a libertarian site inspired by Ron Paul who do some good work about trying to stop war. Following every Islamist terror attack on a Western soft target, like the recent one in Brussels, we hear the same refrain from certain corners: “Why won’t Muslims stand up to Islamic extremism?” The rhetorical question is meant to imply its own answer: that Islam is unavoidably a religion of violence which impels its adherents to at least sanction terrorism, if not partake in it. But the argument contains a false premise. Plenty of Muslims are standing up to Islamic extremism, both in word and deed. In fact, it is Muslims who are doing all the heavy lifting in this regard, while the chief contribution of the self-righteous Western powers has been to add to their burden. First of all, Muslims have opposed extremism ideologically. This goes for Muslim leaders, including top clerics and such groups as the Organization of Islamic Cooperation and the 50-million strong Nahdlatul Ulama (NU). “* Muslims and Americans are equally likely to reject attacks on civilians as morally unjustifiable. * Large majorities of Muslims would guarantee free speech if it were up to them to write a new constitution AND they say religious leaders should have no direct role in drafting that constitution. This book provides a new methodological approach to money and macroeconomics. Realizing that the abstract equilibrium models lacked descriptions of fundamental issues of a modern monetary economy, the focus of this book lies on the (stylized) balance sheets of the main actors. Money, after all, is born on the balance sheets of the central bank or commercial bank. While households and firms hold accounts at banks with deposits, banks hold an account at the central bank where deposits are called reserves. The book aims to explain how the two monetary circuits – central bank deposits and bank deposits – are intertwined. It is also shown how government spending injects money into the economy. Modern Monetary Theory and European Macroeconomics covers both the general case and then the Eurozone specifically. A very simple macroeconomic model follows which explains the major accounting identities of macroeconomics. Using this new methodology, the Eurozone crisis is examined from a fresh perspective. It turns out that not government debt but the stagnation of private sector debt was the major economic problem and that cuts in government spending worsened the economic situation. The concluding chapters discuss what a solution to the current problems of the Eurozone must look like, with scenarios that examine a future with and without a euro. This book provides a detailed balance sheet view of monetary and fiscal operations, with a focus on the Eurozone economy. Students, policy-makers and financial market actors will learn to assess the institutional processes that underpin a modern monetary economy, in times of boom and in times of bust. It's so easy for the elite to get people behind them in a war. It doesn't matter how evil the ruling elite are because all they need is some propaganda and once the war effort starts the people will quickly fall behind them. When the Guardian found Julian Assange they felt it was the story of the decade, but when they felt that perhaps his released cables might endanger British troops lives they felt he had gone too far and so they turned against him trying to discredit him. Of course you don't want to endanger your own troops, nor do you want your country defeated in a war, and so the ruling elite can start any war they like and then the people will quickly fall behind them. And once the war has started the elite will just sit in their armchairs while others do the dying for them and they get the big gains. There must be a way out of this? We have to make sure that these wars never start in the first place and for that we need a free press, but luckily we do have the internet. But I don't know how many people get the real news, hopefully it is millions? I tell my friends to try reading this site. .... and by means of ever more effective methods of mind-manipulation, the democracies will change their nature; the quaint old forms—elections, parliaments, Supreme Courts and all the rest—will remain. The underlying substance will be a new kind of non-violent totalitarianism. All the traditional names, all the hallowed slogans will remain exactly what they were in the good old days. Democracy and freedom will be the theme of every broadcast and editorial—but Democracy and freedom in a strictly Pickwickian sense. Meanwhile the ruling oligarchy and its highly trained elite of soldiers, policemen, thought-manufacturers and mind-manipulators will quietly run the show as they see fit. As the west sleepwalks into nuclear confrontation over Syria with a Russia our leaders have pushed into a corner – using all their corporate backed might to paint black white, up down and evil common sense – Huxley’s words could have been freshly coined just this morning. Why of course the people don’t want war. That is understood…But after all it is the leaders of the country who determine the policy and it is always a simple matter to drag the people along, whether it is a democracy, or a fascist dictatorship, or a parliament, or a communist dictatorship. Voice or no voice, the people can always be brought to the bidding of the leaders. That is easy. All you have to do is tell them they are being attacked, and denounce the peacemakers for lack of patriotism and exposing the country to danger. It works the same in any country. Hyman Minsky, Wynne Godley, SFC modeling, and by implication MMT. The news that the new International Development Secretary is about to slash development spending and channel Britain's aid budget into defence spending is yet another major slip of the new government's centrist mask. Theresa May has tried to pitch her policy agenda as prioritising social justice and a “Britain that works for everyone” but the reality is that this announcement is the true right-wing colours of her government shining through. The appointment of the most right-wing Cabinet for decades was a major warning sign, with figures such as David Davis, who said he was “very worried” about sexual discrimination legislation, and Liam Fox, who said equal marriage was “social engineering”, now at the highest level in government. More Thatcherism from Theresa and the Tories. Science is explanatory as well as predictive. Milton Friedman's methodology is pseudo-scientific. Short blog on this topic from an educator (who apparently leans stochastic) ... might cut through some of the bibble-babble in the current "Noah Smith" mathematics controversy for some. Part of understanding variation is understanding the difference between deterministic and probabilistic (stochastic) models. A deterministic model assumes certainty in all aspects. Some people have a more deterministic world model than others, contributed to by age, culture, religion, life experience and education. Increasingly, US media remind me of media back home in the Middle East. The subtlety of the propaganda has all but disappeared. The US luxury home market is dominated by foreign buyers at least in part owing to non-existent money-laundering laws, with most sales being cash deals. 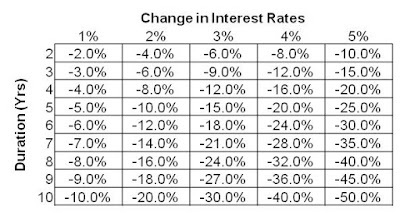 Chart shows the decrease in bond price vs. change in interest rates for some different durations. Some large losses indicated in the lower right of the table. Italian banks are on the brink of collapse and EU rules make bail-outs seem politically impossible. Will they fall – and who will they take down with them? Simon Wilson reports. Why the worry over Italian banks? 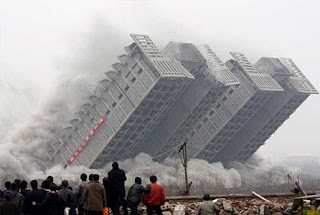 A spectre is haunting Europe – the spectre of banking collapses in Italy, which could lead to renewed crisis in the eurozone, and a wider banking crisis affecting other countries with high exposure to Italian bank debt. Italy’s banks are in deep trouble, weighed down by €360bn of bad debt (“non-performing loans” in the jargon), equivalent to a fifth of Italy’s GDP (and about 18% of all the banks’ loans). Shares in the sector have slumped this year as investors began to price in the risk of banking collapses. One of the worst affected has been Monte dei Paschi di Siena, the world’s oldest bank. The sell-off has gathered pace since the shock of the Brexit vote on 23 June caused investors to reevaluate the risks facing European assets. Italy’s nascent banking crisis risks political as well as economic turmoil in Italy itself. But there is also, crucially, a serious risk of contagion, with the potential to unleash a broader eurozone banking crisis. Most exposed, by some distance, are the French. According to figures from Die Welt, the total exposure of French banks to Italian debt exceeds €250bn. That’s three times as much as the second most exposed European nation, Germany, whose banks hold €83.2bn-worth of Italian bonds (Deutsche Bank alone has more than €11.76bn, increasing the fears over that bank’s long-term stability). The other banking sectors most at risk of contagion are Spain (€44.6 bn), America (€42.3bn), the UK (€29.77 bn) and Japan (€27.6 bn). Another excellent video by TRUTHstreammedia about the DNC. I didn't know that the Bernie supporters had rebelled so much and that the Democratic Party had done so much to try to remove them from the DNC. Bernie supporters get real mad. Truthstreammedia are a soft libertarian group who sometimes make some good videos. Here's their take on the Aleppo boy. As Kerry-Anne Mendoza rightfully remarks in The Canary, the scrapping of the Human Rights Act is the most authoritarian and regressive decision taken by a UK government in modern history (see here). What is it about and what is behind it?…. Human and civil rights are the only restraint on the tyranny of the majority under liberal political theory. Eric Tymogne's money & banking series is now available through the navigation bar at New Economic Perspectives. Eric has also completed first draft of a book based on the series that it available at Scribd for download. It can also be accessed though the NEP money & banking link below. Bill and Randy's introductory MMT textbook is now available at Amazon Kindle for $20. Subscribers to Kindle Unlimited can read for free. The Internal Revenue Service announced today a new payment option for individual taxpayers who need to pay their taxes with cash. In partnership with ACI Worldwide’s OfficialPayments.com and the PayNearMe Company, individuals can now make a payment without the need of a bank account or credit card at over 7,000 7-Eleven stores nationwide. As Reid writes, other countries have made it work with many different kinds of healthcare providers — doctors can work directly for the government, as in the U.K., or not, as in most other rich countries. Hospitals can be for-profit or not. But no one has been able to create a viable system of universal healthcare based on citizens being forced to help insurance companies make a profit. So either Obamacare will include a universally-available, non-profit public option — which in turn would likely eventually become the only option — or it will eventually expire. There is no third way. Capitalism confronts democracy. Which will win? Scott Adams argues it was a success. Paul Kaiser argues it was a monumental blunder. Are the elites and influencers clueless or complicit? The likely answer is that some are so blindside ideologically that they are can't make contact with reality while others are professional propagandists or in the employ of professional propagandists. The disjunction is inclusive. While Donald Trump pretends to represent the anti-Establishment right (look at his tax policy), Jill Stein speak for the anti-Establishment left. WikiLeaks founder Julian Assange is a hero. Like Edward Snowden, Chelsea Manning, and other whistleblowers facing government persecution, Assange has sacrificed his personal comfort and safety to bring us the truth. Speaking truth to power and tell it like it is. Certain people are trying to scare us witless about Russia and the ‘threat’ the country apparently poses. The hysteria reminds one to the build up to the Iraq war, when we were warned every day about the ‘threat’ of Saddam’s deadly WMDs, which - surprise, surprise - turned out not to exist. Now, we can talk for hours about grand, highfalutin theories in the field of geopolitics and international relations in attempts to explain why this is happening.But ‘follow the money’ trail is all we really have to do. Ask yourself who benefits financially from all this scaremongering and then you’ll understand it. This week, The Intercept revealed how US defense contractors have been telling investors that the so-called ’Russian threat’ was good for business. Retired Army general Richard Cody, vice-President of the US’s seventh largest defense contractor, L-3 communications, bemoaned the fact that "when the old Cold War ended’ defense budgets went south". Now though a ’resurgent Russia’ meant an "uptick was coming". There was a similarly upbeat message from Stuart Bradie, chief executive of CBR, who talked of the "opportunities" the current situation presents. The case for higher defense spending to counter the ‘Russian threat’ has been made by a series of think-tanks. And guess what? The most hawkish of these lobbyists - sorry, ‘think tanks’ - receive sizable funding from US defense contractors! See The Iron Law of Oligarchy. Finally, the parameters of the debate have been re-framed now. This election is not about Republican or Democrat anymore, but about nationalism vs globalism. The establishment vs the native insurgency. The bank’s separation from the state was achieved during the catastrophic Yeltsin years, when liberal traitors sold out the whole country. This was done for the benefit of the USA and foreign banks, not for the benefit of Russia. It was done to keep Russia down as a Third World country, as a mere exporter of natural resources without its own industrial production. Yep. Central bank independence is a core principle of neoliberalism that is at odds with both economic liberalism (laissez-faire) and democracy. It is also at odds with a managed economy, where the purpose of management is public purpose. Central bank independence with respect to monetary policy is a command system that acts chiefly in support of finance capital. More reasons that the NYT is a propaganda rag rather than the newspaper of record, if you didn't have enough reasons already, especially after midwifing the propaganda that enabled the invasion of Iraq on the pretext of fabricated evidence of Saddam's WMD — remember Judith Miller? Bill Black has already documented the smoldering pile of domestic propaganda put out by the Times to justify neoliberal looting at home in the US. I used to once so admire Europe because of its social democracy and culture. I was very pro European but little did I know that beneath the surface the old evil ruling class were still there. Arms are big business and where there is easy big money to be made the same old crooks come out of the woodwork. So much for culture and refinement. Though Europe do not have the rates of gun violence the United States continues to grapple with, European governments have made over a billion euros by fueling gun violence in the Middle East and North Africa. A report conducted by a team of reporters from the Balkan Investigative Reporting Network (BIRN) and the Organized Crime and Corruption Reporting Project (OCCRP) found a group of European nations has been funneling arms into the Middle East region since 2012, making at least 1.2 billion euros in the process. According to the report, 68 flights that took place within 13 months transported weapons and ammunition to the Middle East, including to NATO member Turkey, which in turn “funnelled arms into brutal civil wars in Syria and Yemen.” The report also notes that these flights make up only a small portion of the 1.2 billion euros in arms deals between Europe and the Middle East since 2012. Considering Europe is battling a continually rising terrorist threat, they seem to be going about tackling this issue the wrong way. Meanwhile, over the past two years, as thousands of tonnes of weapons fly south, hundreds of thousands of refugees have fled north from the conflicts that have killed more than 400,000 people. But while Balkan and European countries have shut down the refugee route, the billion-euro pipeline sending arms by plane and ship to the Middle East remains open – and very lucrative. It is a trade that is almost certainly illegal, according to arms and human rights experts. “The evidence points towards systematic diversion of weapons to armed groups accused of committing serious human rights violations. If this is the case, the transfers are illegal under the ATT (United Nations’ Arms Trade Treaty) and other international law and should cease immediately,” said Patrick Wilcken, an arms-control researcher at Amnesty International who reviewed the evidence collected by reporters. What’s revealing about Schultz’s list of swing counties is that it pinpoints the fulcrums or likely tipping points in states that drive presidential candidates to Electoral College victories. That is not the same as the national popular vote, needless to say. Indeed, when Schultz identified these swing counties, he looked at their 2012 votes, and realized that had Mitt Romney been a little more successful in various combinations of these locales, he would have been elected. “People don’t realize that the Romney-Obama race was actually far closer than most people think,” Schultz said. “There was an Electoral College blow-out, but if you had a shift of just a few hundred thousand votes across a few states, Romney would be running for re-election this year. We’re really looking at no more than a half-million votes shifting, depending on how you actually define it, and that’s a very small number of votes.” …. Geert Wilders, the wild-haired head of the right-wing Dutch Freedom Party (PVV), launched a new manifesto that calls for the “de-Islamization" of the Netherlands as he leads in the polls to become the next prime minister. The death of Warren Hinckle, a journalist long forgotten outside San Francisco, brings back Ramparts magazine’s crowning moment, also one of crucial moments of postwar liberalism. At a stroke, in March, 1967, the presumptions of innocence by purportedly freedom-loving (albeit hawkish) prestigious intellectuals were stripped off. It turned out that the grand banquets and conferences with literary-and-other luminaries, the New York Times-reported cocktail parties, indeed the whole egghead-celebrity thing, was at base a CIA operation called, without irony, the Congress for Cultural Freedom. The list of collaborators was a long one, but Mary McCarthy, Irving Kristol, Leslie Fiedler, Dwight Macdonald, Sidney Hook and the Trillings, Diana and Lionel, among the most famous Americans, with European stars including Isaiah Berlin and Arthur Koestler at the top (Hannah Arendt in both categories). The Partisan Review, Encounter and a considerable stream of literary or quasi-literary journals existed, as it turned out, with the help of intelligence-agency donations. The CIA is still deeply involved with Hollywood. Hedge fund a-hole, Eddie Lampert continuing his destruction of iconic American brand, Sears. This hedge fund moron, Eddie Lampert, like so many others, systematically destroyed an iconic American brand, Sears. Now he's looking to dump some of its prized and most recognized brands and assets: Kenmore Appliances and Craftsman Tools. Lampert is psycho Ayn Rand follower. It's said that his management style for Sears, where he is CEO, is to pit the company's operating units against each another. This is how he felt the business would benefit. Not by cooperation. Not by combining talents and strengths, but rather, by canabalizing each others' businesses and profits. Can you imagine if the military was run this way? Army against Navy. Marines against the Air Force? Sad, but it's just another example of sick, entitled, clueless gambler with lots of money allowed to run amok and leave destruction everywhere he goes. Like they all do. CR Note: When the New and Existing home sales reports were released this week, I was out of town and didn't post any graphs. Here are a few graphs and comments on the reports. Remember in 2009 when everyone was dodging blame for the financial crisis? Depending on who you asked, it was the bankers, the federal regulators, Fannie Mae, fraudster mortgage companies, the ratings agencies and the sub-prime borrowers themselves. The favorite claim of excuse makers was that no single group was to blame — it was a cluster-f*** as one journalist friend put it. If everyone did it, no one could be held accountable. But it wasn’t true. Bankers and regulators were the major creators of the crisis, for their neglect and single-minded self-aggrandizement that often involved bending the rules. But let me single out one group that avoided blame and deserved plenty of it: mainstream economists. The deeply held ideas of the nation’s most elite economists from the Right and the Left were direct causes of the crisis, justifying perverse behavior on Wall Street and in Washington, and careless and ignorant behavior at the Federal Open Market Committee of the nation’s central bank, the Federal Reserve. Fed caught between a rock and hard place. They want to begin tightening, but NGDP won't cooperate. The "inflation" continues to be in asset prices rather than good price level or wages. 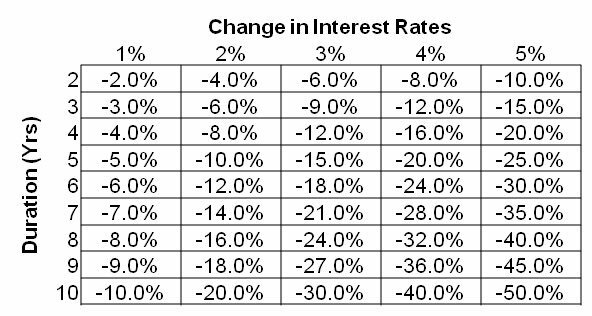 Yellen: "Case for an increase in the federal funds rate has strengthened"
But the biggest factor by far impacting the performance of both dollar stores was the sharp, adverse turn in the purchasing power of the lower half of US consumers. I know that when we look at globally the overall U.S. population, it seems like things are getting better. But when you really start breaking it down and you look at that core consumer that we serve on the lower economic scale that's out there, that demographic, things have not gotten any better for her, and arguably, they're worse. And they're worse, because rents are accelerating, healthcare is accelerating on her at a very, very rapid clip. Making matters worse, he added that the company's core consumers base, 65% of which is comprised of lower-income shoppers, has been impacted by the recent reduction or elimination in foodstamps: "now couple that in upwards of 20 states where they have reduced or eliminated the SNAP benefit, and it has really put a toll on [the core consumer]." "Those people" are likely voters for Donald Trump and they are less likely to show up in polling. Trump may be correct in assuming that the polls are not reflecting some of his key constituency.